A year later, the financial crisis hit Europe and Greece was in the eye of the storm. Today, Greeks are trying to survive the chaos of their country’s fifth economic recession. The destruction of Greek industries has resulted in unemployment levels of up to 27 percent and youth unemployment of 65 percent. Millions of jobs have been lost and thousands of businesses have closed. 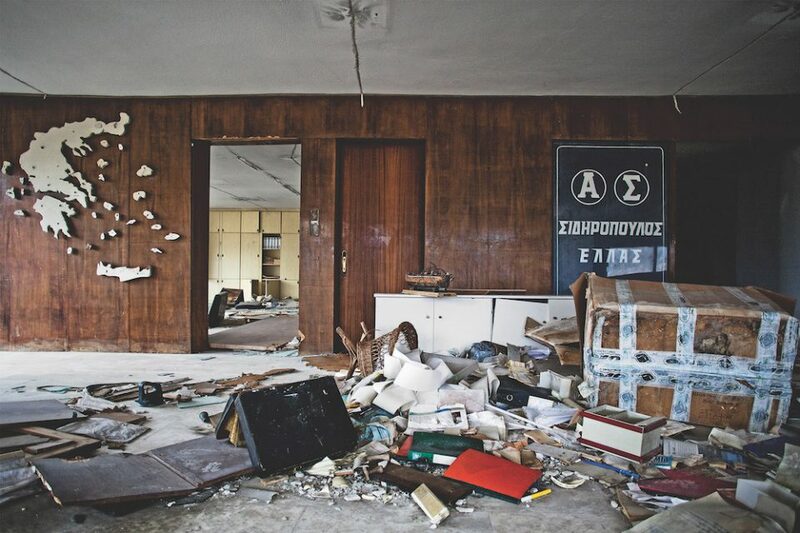 Nikos Pilos started documenting the crisis in his country in 2009 and has been following the effects ever since. It has resulted in, what is probably the most prolific archive of this dark period in European history. A period which is far from over, whatever statistics or politicians may suggest. Pilos pointed his camera at multiple aspects of a society in crisis: youth, everyday life, politics, economy and migration issues. 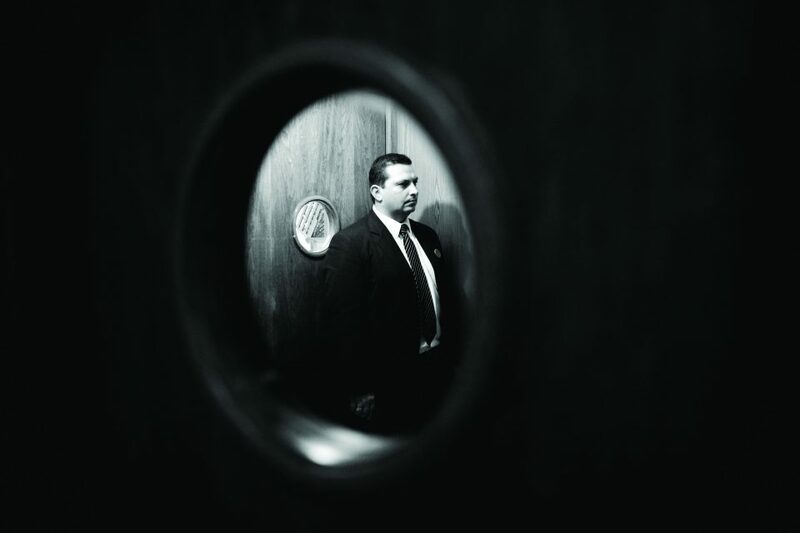 ΧΑΟΣ (Chaos) brings together the stories that he – one of the few persons in his family making money- sold to international media and many, many more. 2/16/2011 Xanthi, Northern Greece. The relief on the wall on the left is Greece's map. This factory, Sidiropoulos, produced dried fruit in northern Greece. The company went out of business in 2008. 2/20/2011. Xanthi, Northern Greece. 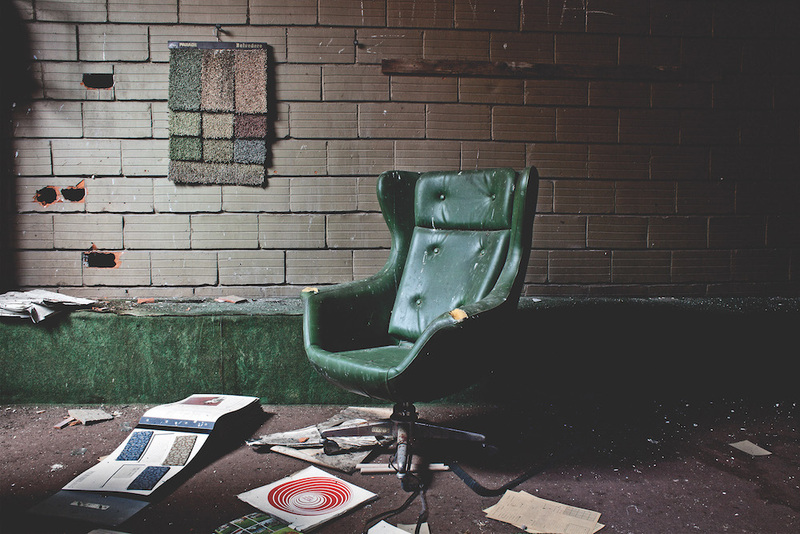 The manager's seat at the "John Phil" carpet factory in Xanthi, in northern Greece. 6/29/2011, Athens, Greece. Syntagma Square. The main square in Athens. Rioters burnt a advertising platform. 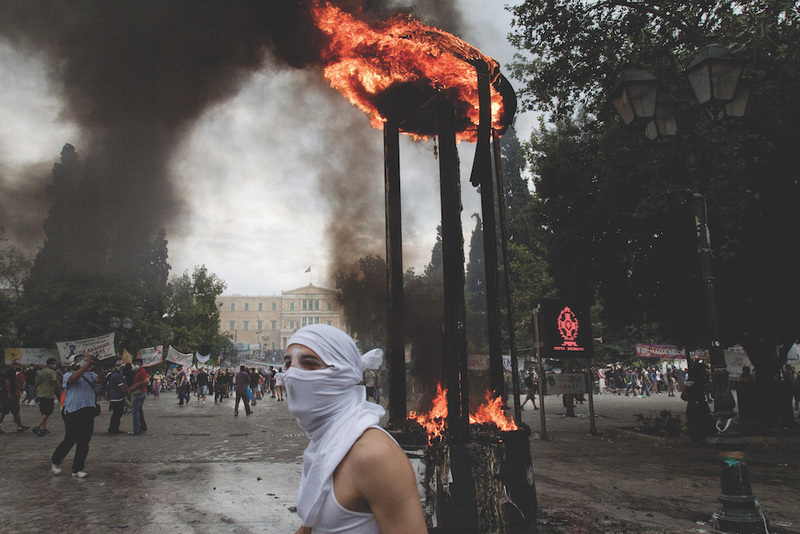 The protests in Syntagma had been already going on for months. The meaning of XΑΟΣ lies well beyond the Greek situation. It is an acid test for European collaboration, its democracies, its capacity of creating a sustainable, inclusive society. Borders Kill is the first component of the project that – due to the urgency of the situation- needs to be shown today. Borders Kill is about the masses of migrants and refugees risking their lives, desperately trying to get into Greece and out again, further into Europe. 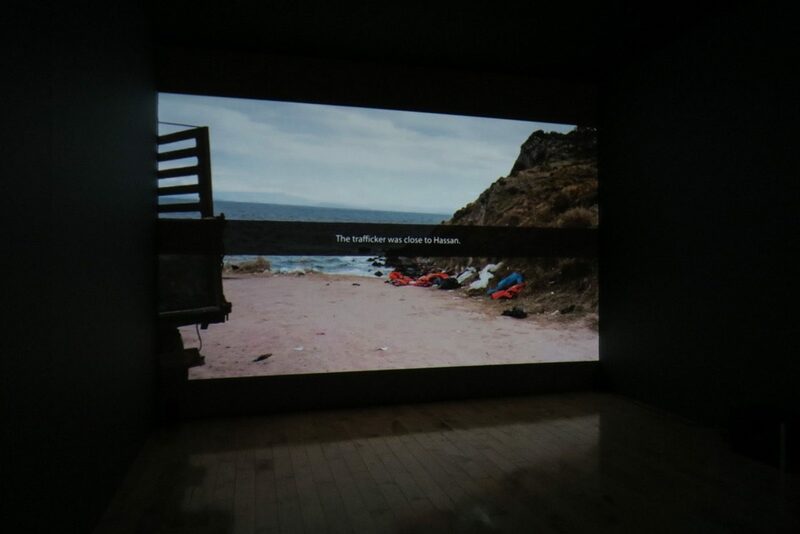 The footage is shot throughout the year, displaying the situation on the island of Kos and at the Idomeni border.